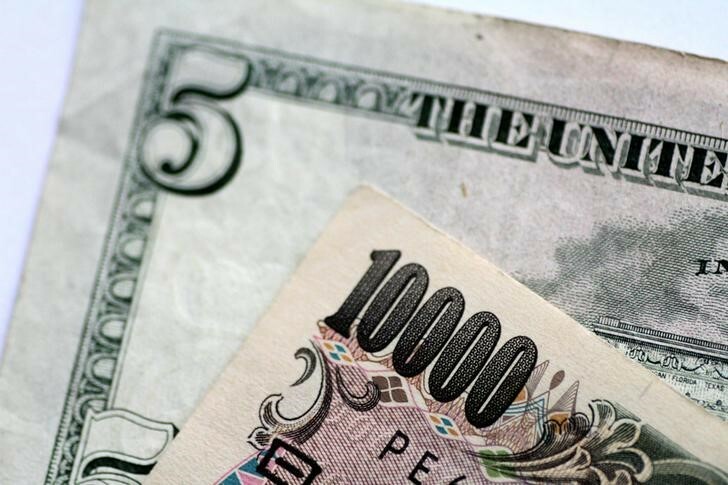 TOKYO (Reuters) – The dollar fell against the yen in early Asian trade on Tuesday after U.S. President Donald Trump’s threats of more tariffs on China raised worries about an escalating trade war between the world’s two largest economies. The Japanese yen strengthened to 110.02 against the dollar, up as much as 0.47 percent on the day, after President Trump threatened to impose a 10 percent tariff on $200 billion of Chinese goods, fuelling trade war worries with Beijing. The ongoing trade dispute between the United States and China knocked the yuan to 6.4660 per dollar, its weakest in more than five months in the offshore market. The Australian dollar sank to a one-year low of A$ 0.7391 as the U.S.-China trade spat escalated and base metal prices slid. The Canadian dollar weakened to a one-year low of C$ 1.3237 overnight, before paring some of its losses, as investors worried about Canada’s trade feud with the United States.